Halloween has become the biggest grossing commercial holiday event after Christmas and is now much anticipated in the UK. Celebrating the Christian holiday of All Hallows Eve (followed by All Saints Day on November 1st) it derives from an ancient pagan festival celebrated by Celtic people over 2,000 years ago. We’ve undertaken a little bit of research to bring you our guide to the best hotels to visit this Halloween for a truly authentic experience – with black cats, witches, ghosts, owls and pumpkins we think we’ve got the spooky season pretty much covered! 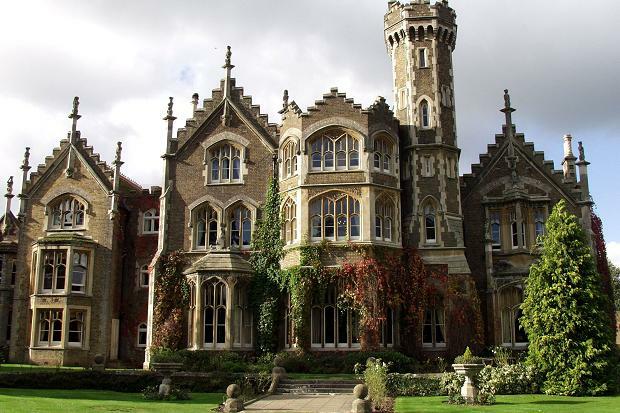 Overlooking the river Thames, Oakley Court is a Victorian gothic country house, currently being used as a luxury hotel. The Court was originally built in 1859 for Sir Richard Hall-Say and legend has it that he built it in the style of a French Chateau to comfort his homesick young French wife. Because of its dramatic exterior and the fact it adjoins Bray Studios, it has been used as a location in the filming of some 200 films including several Hammer Horror films, such as The Reptile (1966), The Brides of Dracula (1962), The Plague of the Zombies(1966), and the Amicus horror film And Now the Screaming Starts! (1973). When the Dracula films were made at Oakley Court directors obtained an eerie effect by using candles to light the entire Court. It is perhaps best remembered as Dr. Frank N Furter’s castle (called The Frankenstein Place) in The Rocky Horror Picture Show (1975). The story goes that in 1898 a South African diamond magnate was shot dead in his office after having been the 13th diner at a banquet held at the famous Savoy Hotel. For some years after those events, anxious to avoid a similar incident, the Savoy provided a member of the hotel staff to sit at tables of thirteen. The idea proved unpopular with guests wanting to talk about personal or private matters so in 1926 a new solution was found. 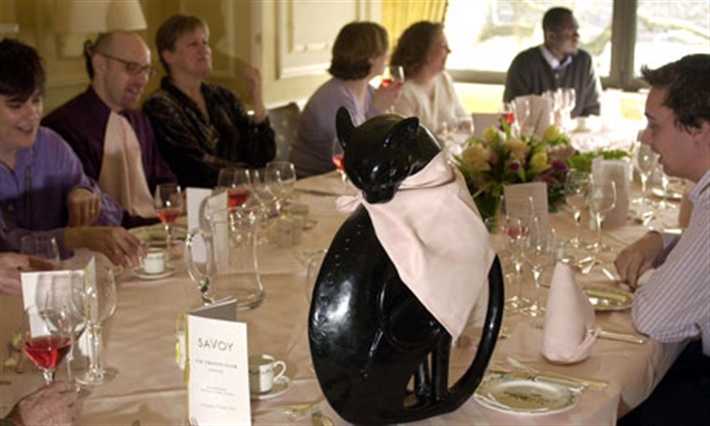 British architect and sculptor Basil Ionides was commissioned to design and carve a two-foot-high model of a black cat, named Kaspar. Whenever a party of thirteen requests an extra guest to avoid the unlucky ‘curse’, he is brought to sit at the table, has a napkin tied around his neck and is served every course, just like any other guest. Winston Churchill became very fond of Kaspar, to the extent that he insisted the cat should be present at every meeting of The Other Club, a political dining club he had founded in 1911. Earlier this year the Savoy relaunched one of its restaurants as Kaspar’s Seafood Bar and Grill. Late-night visitors to Marlow have often been shocked by the chilling apparition of the Grey Lady of Danesfield Park, a solemn-faced ghost holding a lantern, who glides around where the chapel once stood. Dressed in the apparel of the Roman Sisterhood, this ghostly lady walks down the hill towards the school which was formerly Medmenham Gate and there she disappears! 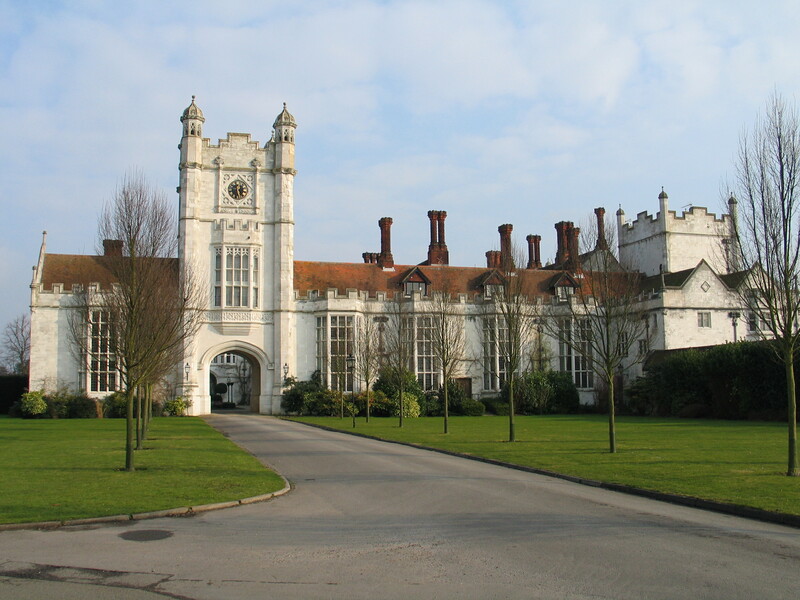 Danesfield House, itself a white, gothic, Victorian folly, with its tall chimneys, its clock tower and elaborately terraced gardens opened on the 1st July 1991 as a luxury Country House Hotel with a charm and character that cannot be compared. Danesfield is a property with a most unusual history – it was once home to the Hellfire Club of Medmenham, a bunch of crazed desperadoes from the nearby village, and when walking around the grounds it is easy to imagine the strange events that must have taken place over the centuries! Perched on Towan Head and dominating Fistral Beach, it’s outward appearance is so frightening it was chosen as the setting for the 1990 film adaptation of Roald Dahl’s The Witches starring Anglelica Houston as the Grand High Witch. 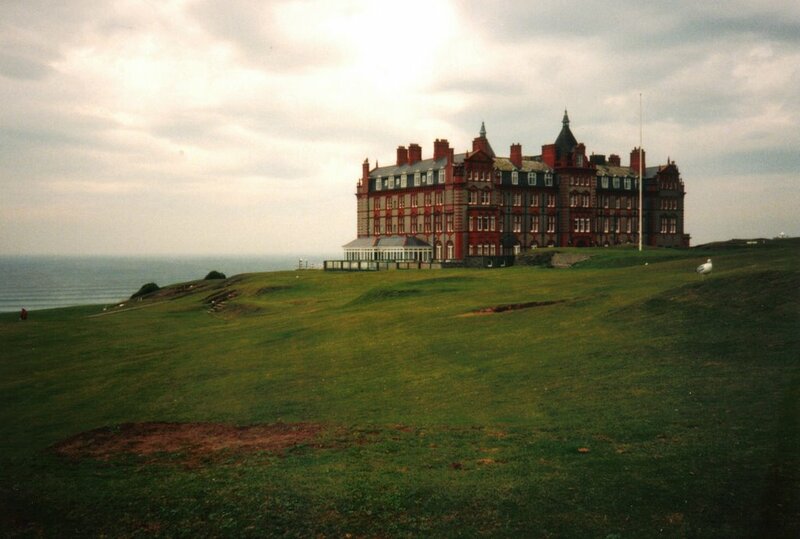 During the Second World War the hotel was requisitioned and became an RAF hospital and on several occasions guests have reported the harmless ghosts of men in uniforms walking around the corridors late at night. Extensive renovations during the late 1990s may have awoken more ghosts of the past; one sighting was of a woman wearing a maid’s uniform disappearing through a wall into the Ladies’ Powder Room – spookily, in exactly the same position as where there was once a door! Lainston House in Winchester is a charming 17th century country house standing elegantly in 63 acres of beautiful Hampshire parkland. As you sweep into the courtyard, delicate archways and loggias frame the picture perfect entrance and a small amble reveals a beautiful 12th century chapel ruin and pretty dovecote. It also has the most fabulous kitchen garden where they are producing gigantic orange pumpkins to be used thorough out the season! Also resident in the kitchen garden (housed in the avaiary) are Bella, Lady Elizabeth Chudleigh, Earl, Benji, Mumbo and Chaco, Lainston’s gorgeously ghoulish Eagle Owls. 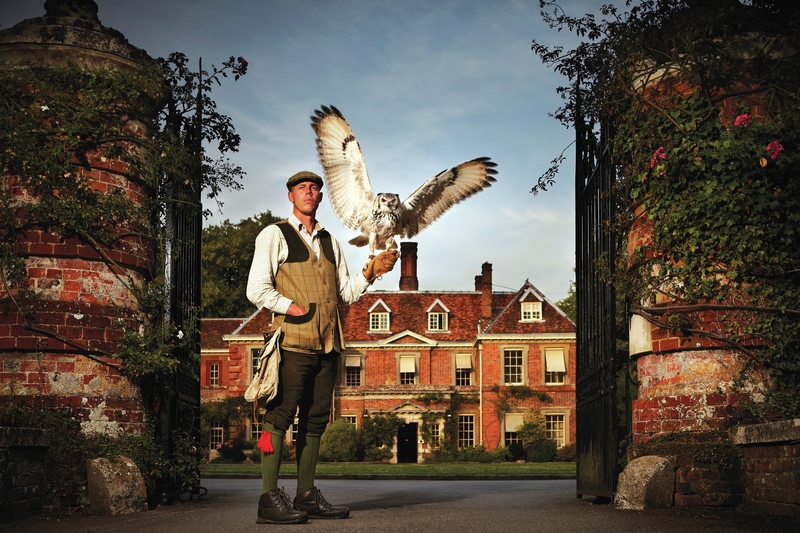 Join them on October 31st for a special Halloween flying display with Billy, their resident falconer and walk through the creepy carved pumpkins! Click here for more details. We hope you have enjoyed our ‘Ghoulish Guide’ – with such lovely hotels to choose from though we think you’ll be in for more of a ‘treat’ than a ‘trick’!